Breckwell A-S-BURNPOT Burn Pot Assembly, AMP20148. Replacement burnpot for Breckwell pellet stoves. This burnpot fits most of the newer stoves that have an igniter. This pot comes with the stainless steel insert. Not sure if this is the correct burnpot? Take out your old burnpot and measure the distance between the holes. The A-S-Burnpot has a 1/2 (roughly) gap between the holes. Only one hole on the back? You need an A-S-Burnpotni (no igniter hole). If you have a 1 gap, then you need the A-S-BurnpotP2K. This is the new two-piece style burnpot. It replaces the old solid one-piece burnpots. The new style lasts much longer. When the insert burns out, you replace only that part. Fits the following models: P22 - 1994 models and newer P23 - 1994 models and newer P24 - 1994 models and newer P32 - All Models P1000 - All Models P2000F - 2003 models and newer - see notes below P2000I - 2002 models and newer - see notes below P2700 - 2001 models and newer - see notes below P4000 - All Models tab. P22 - 1994 models and newer. P23 - 1994 models and newer. P24 - 1994 models and newer. P2000F - 2003 models and newer - see notes below. P2000I - 2002 models and newer - see notes below. P2700 - 2001 models and newer - see notes below. Breckwell:, P22 - 1994 models and newer, P23 - 1994 models and newer, P24 - 1994 models and newer, P32 - All Models, P1000 - All Models, P2000F - 2003 models and newer - see notes below, P2000I - 2002 models and newer - see notes below, P2700 - 2001 models and newer - see notes below, P4000 - All Models. No additional information at this time. Need to return an item? 2 Alumininum Flex Pipe For outside air venting only, 10FT. 2 Aluminum Flex Pipe For outside air venting only, 5FT. 3" x 6" Dura-Vent Pellet Vent Pro Straight Length Pipe. 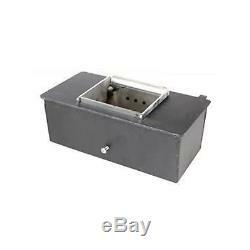 The item "Breckwell A-S-BURNPOT Burn Pot Assembly, AMP20148" is in sale since Monday, August 20, 2018. This item is in the category "Home & Garden\Home Improvement\Heating, Cooling & Air\Fireplaces & Stoves\Replacement Parts".